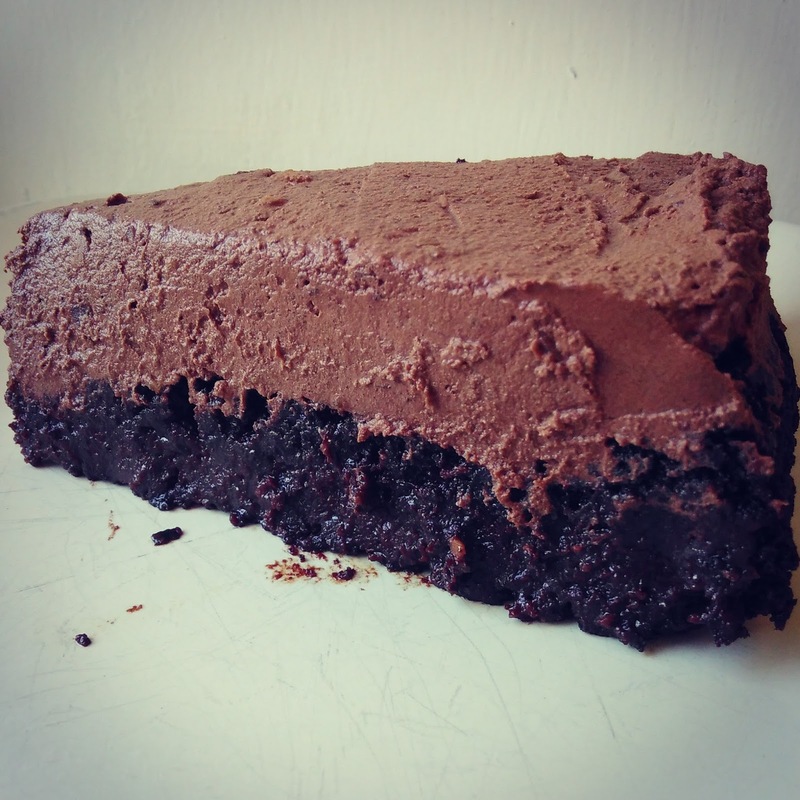 Mad Hatter's Pantry: "Guilt Free Dark Chocolate Cake" - Veganised! 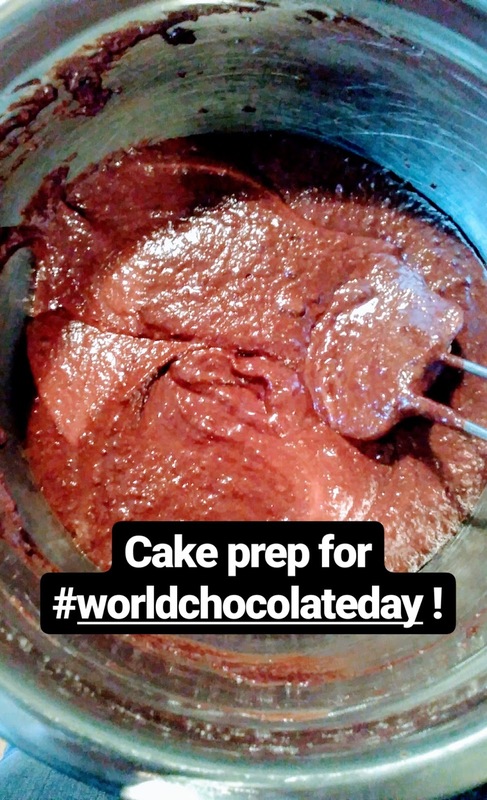 I was sent a chocolate cake recipe in honour of World Chocolate Day (which was on Friday), and asked if I wanted to share the recipe on my blog. Unfortunately, it wasn't a vegan recipe - but they agreed to let me veganise it! This recipe was originally written by Head Pastry Chef Ellen de Jager-Smith at Michelin Starred Bohemia, and the only non-vegan ingredient was eggs! 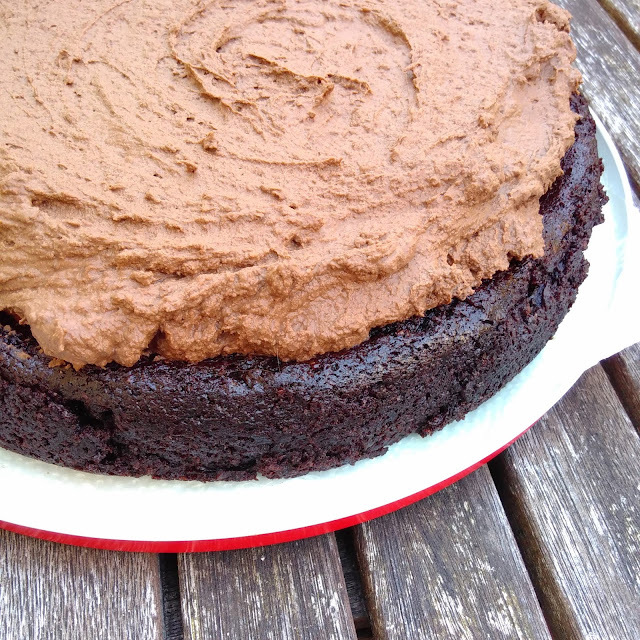 I swapped the eggs for a combination of ground flax seed and aquafaba, which resulted in a rather dense cake - think lovely brownie texture! I imagine that the original cake was much lighter, and if I had remembered to chill my aquafaba in advance, I think this cake would also have been lighter! That being said, I was really pleased with the cake as it turned out so I will leave it up to you whether to try this with chilled or room temperature aquafaba. I must note that although this cake is titled "guilt free" it still packs a pretty big calorie punch. 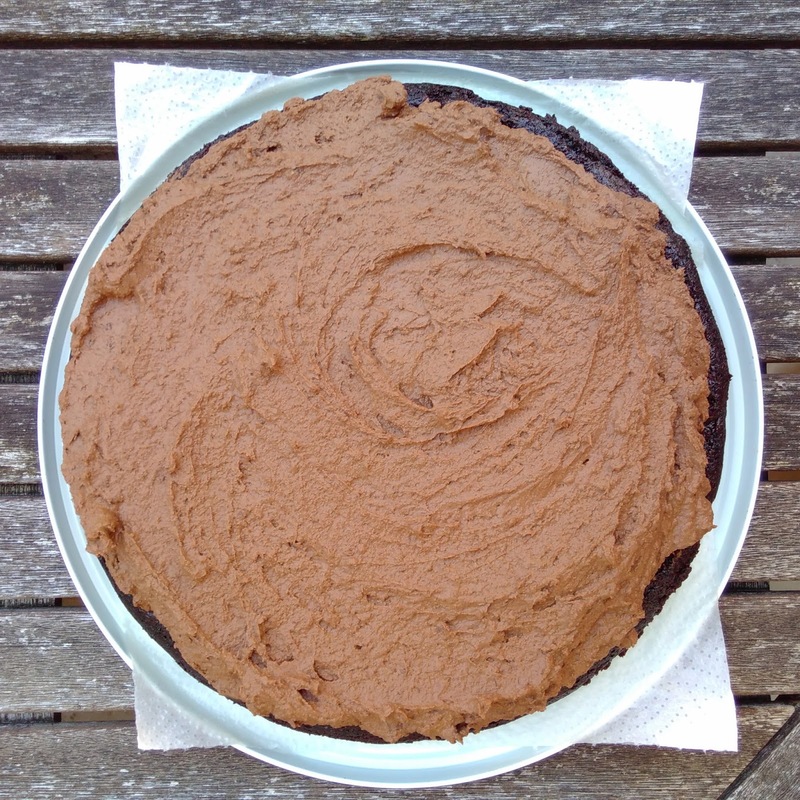 The ingredients are all healthy, which is great, but I ended up halving the icing because a) I wanted to make it a bit more waistline-friendly, and b) there was just so much of it! This cake made me realise that I really really need to upgrade my blender - it struggled to get those dates smooth! 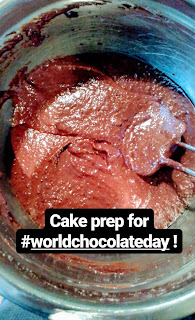 Also, make sure that you use good quality chocolate in this recipe, as that is where most of your flavour will be coming from! 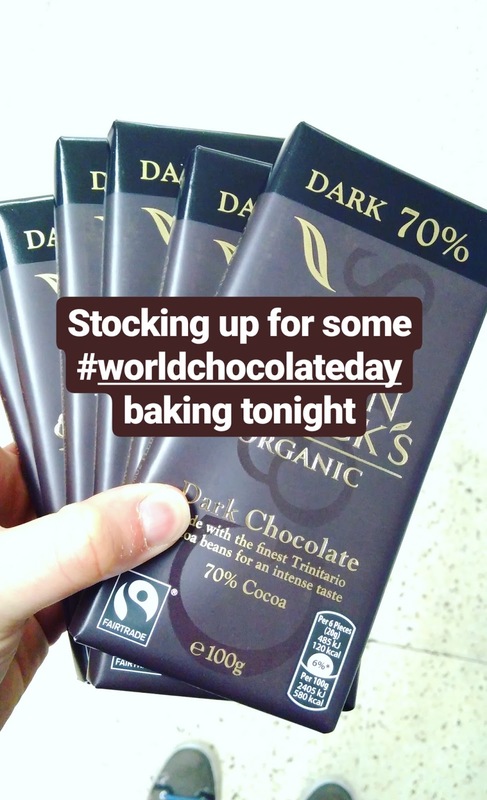 It's worth spending the extra bit of money to get some good chocolate. 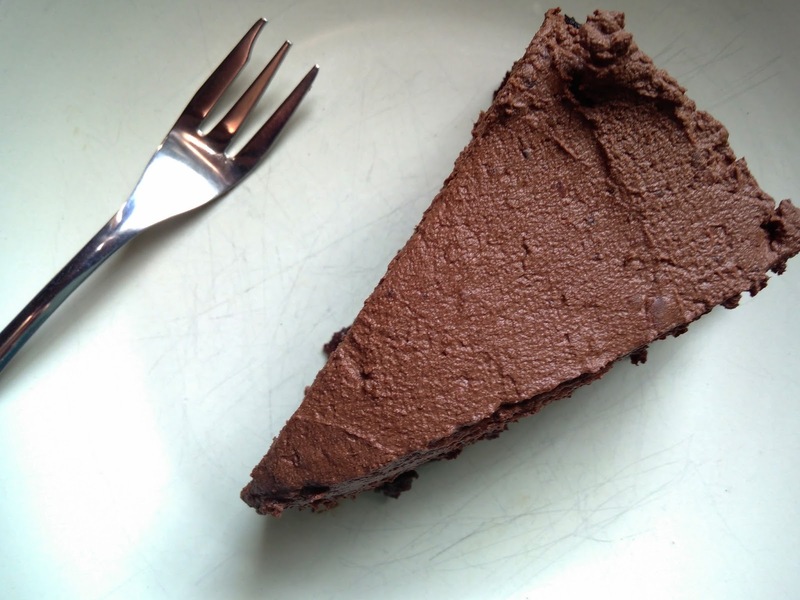 Head Pastry Chef Ellen de Jager-Smith at Michelin Starred Bohemia has shared her recipe for her delicious, healthy, gluten-free chocolate cake - which includes no cream, butter or sugar! 1. Preheat the oven to 160°C and line a 10" cake tin with parchment paper. 2. Whisk together the ground flax seed and aquafaba. Set aside. 3. Sieve all of the dry ingredients together. 4. Add the maple syrup to the flax seed mixture. 6. Melt the dark chocolate either in the microwave, or in a small bowl over a saucepan of boiling water. 7. Add the flax seed mixture to the dry ingredients and mix to create a smooth batter. 8. Fold the almond milk mixture carefully into the batter and pour in the dark chocolate. 10. Bake for around 50 minutes. 1. Blend everything (except the dark chocolate) in a food processor. 2. Add the dark chocolate carefully whilst blending. 3. Decorate as you please.